A diphtheria outbreak in the Rohingya makeshift settlements has killed 20 people as of December 17, 2017. With 1,500 suspected cases, the number is growing. The 656,000 Rohingya people who sleep every night without electricity, dream in the colours of recent trauma and wake up to uncertainty, cannot afford to be hurt further. Life moves at an exponentially faster pace these days in Cox’s Bazar. Humanitarian workers’ tall strides of urgent service delivery are like waves hitting the shore of the Bay of Bengal. The sound of the bay is lost here though, with everyone running north to south all day. The 656,000 Rohingyas here, most of whom sleep every night without electricity, who dream in the colours of recent trauma and wake up to uncertainty, cannot afford to be hurt further. That’s what humanitarians are trying to mitigate every second of every hour. But some things did unfold in the past week which left us all to deal with a crisis within a crisis. A diphtheria outbreak in the Rohingya makeshift settlements has killed 20 people as of 17 December 2017 and there are 1,500 more suspected cases. The number is rapidly growing. Diphtheria, a very contagious disease, spreading in an area where people live shoulder to shoulder, is not easily stoppable. The health cluster led by the World Health Organization in the Inter-Sector Coordination Group, with the guidance of the Bangladesh Government, has been meeting for many long hours with a core group of organisations to draw up the best plan to stop the spread of the disease. BRAC is part of this core team. These coordination meetings were far from typical. Hours were spent under white lights, looking at maps and strategy, studying cases, analysing behaviour, bringing in experts, and utilising local knowledge – all with a sense of urgency, knowing that literally every second was counting. The first few days were dedicated to understanding the gravity of the situation, the context and services which were available. Médecins Sans Frontières (MSF) was the first to start treating diphtheria patients. As the disease is contagious, patients could not be kept with the rest of the patients in health posts and clinics. Isolation centres were needed, and urgent services which could run 24/7 with one doctor and two nurses, each tending to 10 beds. How fast can one build such centres, and at what speed could community mobilisers go door-to-door to do contact tracing and spread awareness regarding diphtheria? This outbreak needed a simultaneously carried out multi-pronged approach. BRAC’s health team, along with all the staff of the humanitarian crisis management programme, did not hesitate a second to jump in. “We have resources, our people want to help!” That was the echo heard from each layer of the programme. 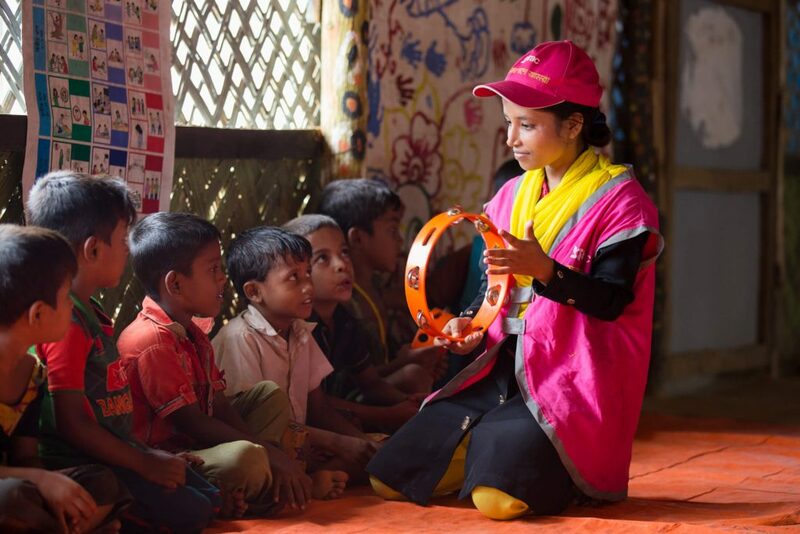 Our communication for development programme with UNICEF had 800 Rohingya volunteers who were already trained to tackle such situations. With a quick training session on diphtheria, they started going door-to-door to spread awareness messages from Kutupalong to Unchiprang. The workers in the child-friendly spaces were equipped with the skills to recognise diphtheria symptoms, and to refer any child who may have caught the disease. 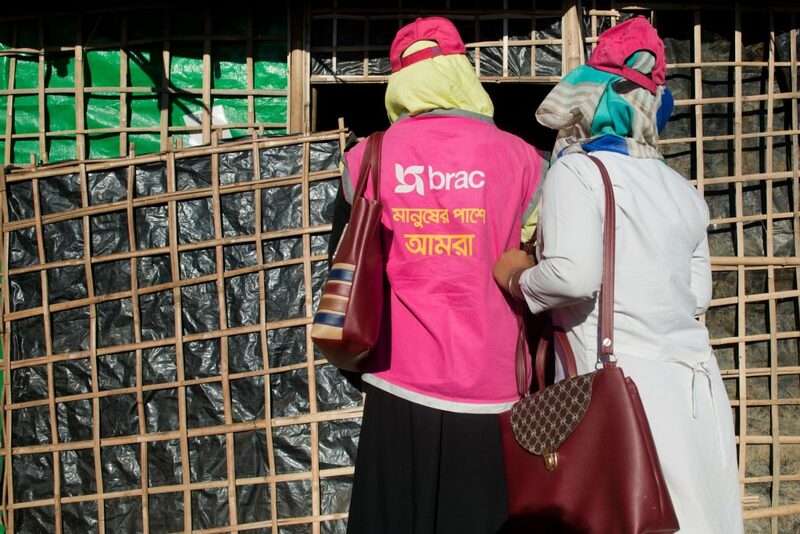 The health team went straight to the settlements for contact tracing, and to look for space so that BRAC too could treat patients through emergency isolation centres. Before the week ended, there was a 20-bed isolation centre in Hakimpara with doctors and nurses serving patients 24/7. Another 10-bed isolation centre will be functioning within a day in Balukhali – one of the most affected areas so far. Our health workers are already engaged in contact tracing – a process to understand the spread of the disease by tracing who the patient came into contact within the past days. None of these are simple tasks, but we took them on in addition to our existing urgent multi-sector service deliveries without thinking twice. For us it is about saving lives. The age distribution of suspect case-patients shows that approximately one-quarter of the diphtheria patients are among the 0-5 year age group, one-third are in the 5-10 year age group, and one-fifth are aged between 10 to 15. 24.1% of the suspected case-patients are aged 15 years and older. The coming days will be hard, but we are committed to the betterment of the patients. Diphtheria is a completely curable disease, but it can take on a fearsome face if not treated. The hope is to mitigate this outbreak with coordination between all partners on the ground. All humanitarian workers are being vaccinated this week so that we can continue to run to those in need. This time our speed is definitely faster than the waves reaching the shore. Our constant witness for this feat is the benevolent Bay of Bengal. Iffat Nawaz is the head of external relations and communications of BRAC’s humanitarian crisis management programme.